An earring is a piece of jewellery attached to the ear via a piercing in the earlobe or another external part of the ear (except in the case of clip earrings, which clip onto the lobe). Earrings are worn by both sexes, although more common among women, and have been used by different civilizations in different times. 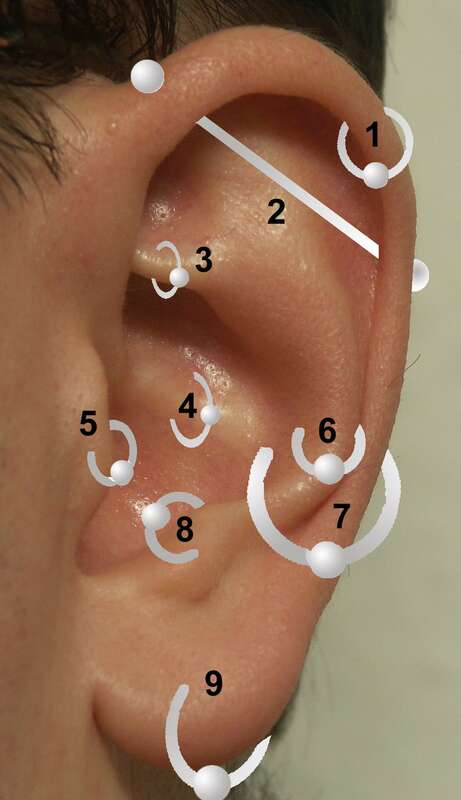 Common locations for piercings, other than the earlobe, include the rook, tragus, and across the helix (see image at right).